I am in my late 70’s and it is during this time year that I think about my parents the most. My mother was generally speaking an unhappy woman, but at Thanksgiving time she was always happy and this is when I think about her and my father the most. My mother started preparing for Thanksgiving in early November, and her preparations were all about the details. The event started when she started pulling out the cookie books. She started to decide which cookies she would be making, and there would be hundreds of them. One unforgettable year she made 90 dozen cookies, and she always gave most of them away. Thanksgiving through Christmas was the only time of year when, for my mother, it was really about everyone else. After the cookie planning started, she turned her attention to the turkey. My father was a welder, so we did not have a lot of money, but we were a family of six so we needed a large turkey, very large, and it was always expensive but this was one item she would splurge on at the local farm. Mom would proudly make a call to this local farm to order the fat bird, and hang up with a smile as fat as the bird itself. Before Thanksgiving dinner we piled into the family car and head to Cumberland Street in our small town of Lebanon, PA to see the Thanksgiving parade and stood in the cold, waiting for what seemed like hours, our hands and toes were frozen and teeth clicking as steam puffed through our noses in anticipation. Our Thanksgiving Day parade was not big, but to us, it was so exciting, and to me, it was all so big. People would dress up and toss candy and gum, which to us kids was a big deal – we would scramble to catch as much as we could in that freezing cold air. The parade marked the start of Christmas because at the end was the Santa Clause who would climb up on the fire truck, and then up the fire ladder to the second floor of the big department store in town, Bon Ton, and wave to the crowd, throwing candy out to all of us. We had a lot of food at our Pennsylvania Dutch dinner table: an enormous turkey, peas, creamed corn, jellied cranberry, thick slices of white bread, stuffing, salad, boiled and thick cut potatoes and sweet potatoes with huge chunks of butter, and heaps of mashed potatoes made with real cream. We drank tall glasses of chocolate milk and for dessert, we could choose from ice cream, jello, cakes, and pies. 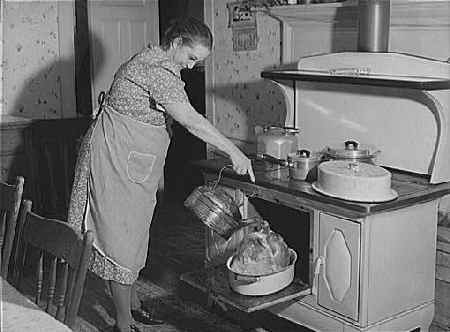 Thanksgiving was about my mother’s vision of how things could be when at her best with the family. She taught me that it’s what you do by example, taking the time to create something for someone else. The details are what people remember. I remember how much she worried about where she got the turkey, the size and plumpness of the turkey, the cookies she would bake, the flour she would use, where she bought the butter, the table setting, and what time we would leave for the parade. Preparing the family for all of the details mattered to her. My mother made sure everyone was ready and together, and she started to ready us early for what was to come next, from food shopping to where we would stand on the parade route for the best experience in our humble town. Family matters, if even for a moment. Eventually, we would all split up in our lives and go our own ways, and many of us would stop speaking to each other all together, but on this one day, we were one, a whole unit in a temporary glory she could revel in. Time is ominous. Thanksgiving actually meant that Christmas was on the way. The day wasn’t about the settlers, but that something else was on the horizon, it was a prelude. 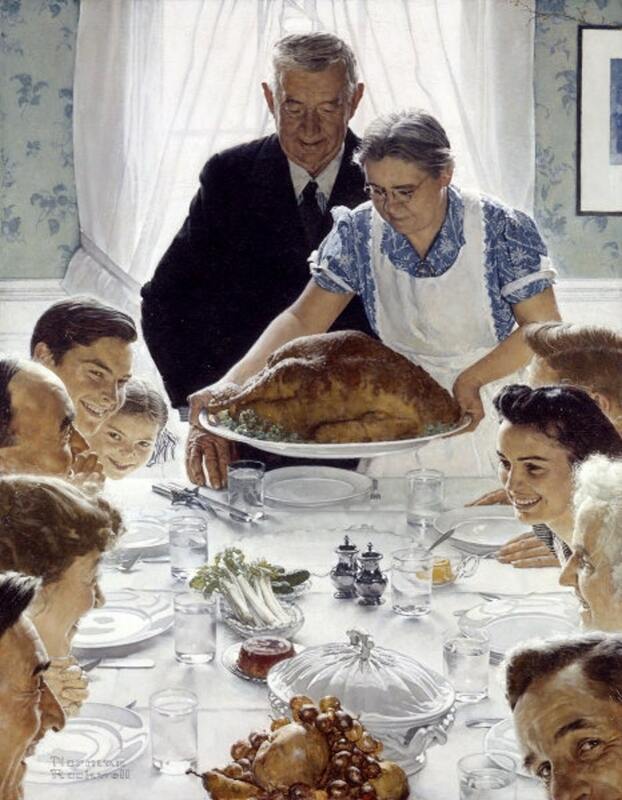 My mother felt that Thanksgiving, more than any other time of year, was important, and so to this day, I do too. I am in a rehabilitation facility, temporarily, recovering from brain surgery, and may not be able to come home for Thanksgiving. My daughter is spending the days here with me and we are going over the list of food I’d like to have on Thanksgiving day, as she and my son-in-law will have to cook and bring the meal to me. As these memories surface at this time in my life, I am thankful that I am alive today and able to pass these memories lessons to her.